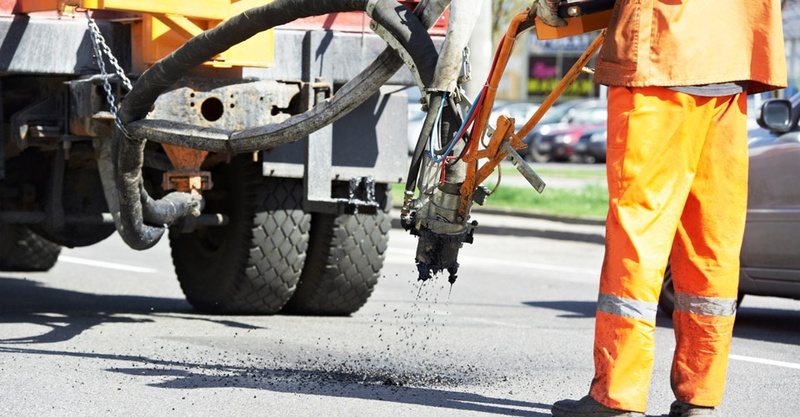 Now that winter has released its grip across the U.S., it’s time for seasonal road repair projects to begin. Let’s take a few moments to today to talk about best practices that will keep road workers and motorists safe. Transportation departments in Connecticut, New Hampshire, and other states remind us to “Obey the Orange.” Bright orange vests and safety cones are high-visibility reminders to slow down when driving past worksites. When you see the “orange and black,” be extra cautious. Flag persons will help direct you along the way. Have a Plan. Every road construction project should have a transportation management plan. The plan should consist of a temporary traffic control plan to protect workers by safely conducting traffic around or through the work zone. You should also have a traffic control plan for inside the work zone that manages the flow of heavy equipment, construction vehicles and on-foot workers. Properly Control Traffic. The work zone should consist of an advanced warning area with warning signs alerting motorists of upcoming changes in driving conditions, a transition area using traffic control devices for lane closures and traffic pattern shifts, a buffer area, the work area and a termination area to allow traffic to resume back to normal and a sign indicating that the work zone has ended. Create Separate Work Areas. To avoid accidents use cones, barrels and barriers to clearly delineate specific areas of the work zone such as material storage, areas where heavy equipment is being used, vehicle parking and safe areas for workers on foot to move about in. Wear Proper Safety Equipment. Proper safety equipment should be worn by all personnel inside the work zone. Personal protective equipment (PPE) including hard hats, steel-toed boots, highly visible clothing and, depending on the noise levels, hearing protection. Be Aware of Your Surroundings. Avoid walking behind any vehicles that may be backing up or into the swing radius of heavy equipment. Whenever possible, face traffic while inside the work zone or have a spotter available when you have to have your back turned. Spotters should also be used to monitor the movement of vehicles and heavy equipment inside the work zone in addition to monitoring traffic. Avoid Blind Spots. Operators [using heavy equipment in the work zone] should ensure that all mirrors and visual aid devices are attached and operating properly including back up alarms and lights. If you are on foot and working near these machines while in operation remember that the driver has a limited line of sight. Always stay in visual contact with the driver. A good rule of thumb to follow is that if you can’t see them then they probably don’t see you. Have a Competent Person on Hand. A competent person should be onsite whenever work is being performed. According to OSHA, a competent person is someone who is “capable of identifying existing and predictable hazards in the surroundings, or working conditions which are unsanitary, hazardous, or dangerous to employees, and who has authorization to take prompt corrective measures to eliminate them.” A competent person is needed to conduct hazard assessments and regular inspections of the worksite….select the appropriate class of PPE to be used by workers, and to approve the appropriate types of traffic control devices. Workers should report any unsafe hazards or equipment to the competent person so they can be corrected immediately. Start Each Workday with a Safety Meeting. Since conditions can change greatly from day to day in the work zone workers should be briefed on the work activity scheduled each day and notified of all potential hazards. This is also a good time to ensure that all workers have and are wearing the proper PPE required for the work being done that day. Have a Site-Specific Safety Program. Every road construction project is different and each work zone has its own unique hazards… a site-specific safety program [should] include identifying all hazards and plans to control and mitigate them, schedules to routinely inspect all equipment and material, a plan for first aid and emergency medical care, and safety training schedules for all employees. Stay Hydrated. Asphalt absorbs 95% of the sun’s rays and asphalt temperatures can easily be 30° F or more higher than the surrounding air temperature. Workers should drink plenty of water or liquids high in electrolytes like sports drinks or coconut water. Workers should also get out of the heat and sun as much as possible especially on extremely hot days to avoid heatstroke, dehydration and heat exhaustion. See our HSI blog posts and for more best practices and emergency care responses. Speed control, paying close attention to our surroundings, and some advanced planning will go a long way to help everyone stay safe during the upcoming road construction season. Need training for your drivers or construction workers? Summit has online, eLearning, streaming, and DVD training solutions for you! Visit our course selection today.